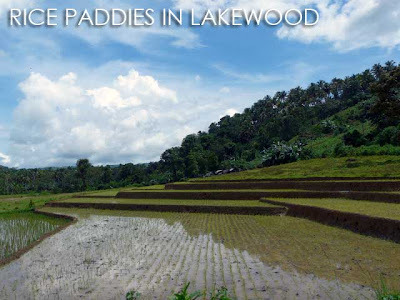 If South Cotabato has Lake Sebu and the T'boli, the province of Zamboanga del Sur has Lakewood and the Subanen. 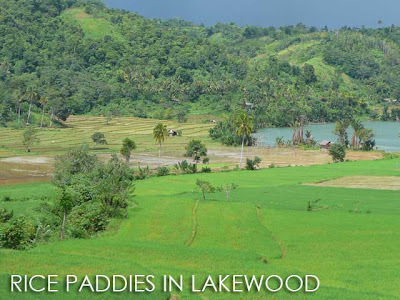 The main attraction is of course the 800-hectare Lake Wood which is sometimes referred to as Lake Lakewood. But the culture of the Subanen is not as highlighted as the culture of the T'boli is in Lake Sebu. 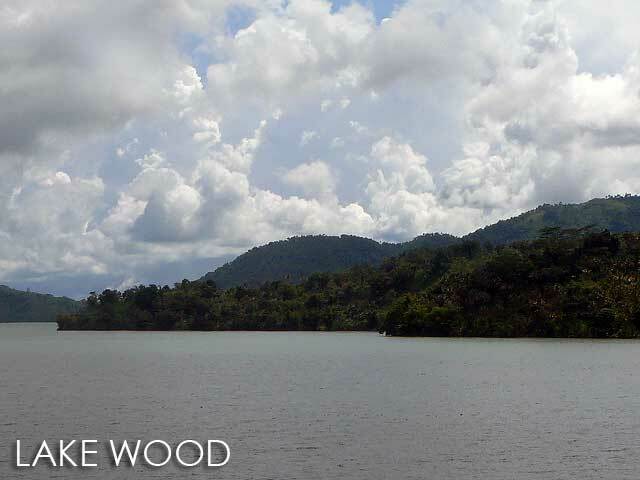 The best place to enjoy the view of Lake Wood is at the Alindahaw Lakeview Resort in Brgy. Biswangan. 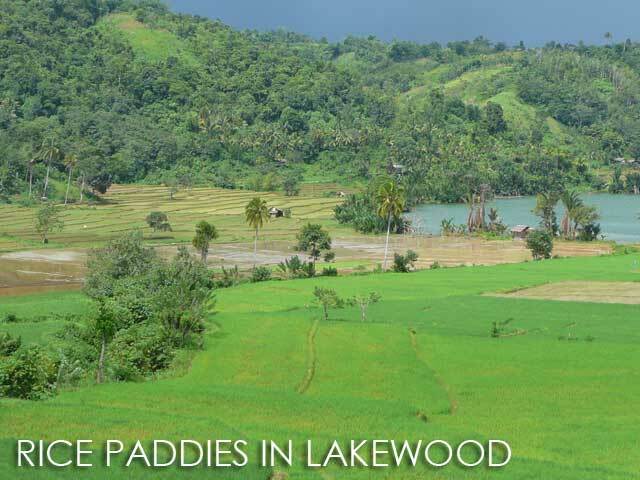 From Pagadian, vans leave every hour for Lakewood. 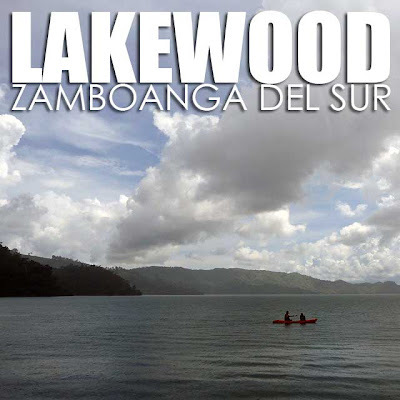 While public buses pass through the Lakewood junction along the National Highway, the Alindahaw Lakeview Resort and the town proper are still several kilometers inside. So it's best to take these vans or hire a habal-habal when you get off at the junction. 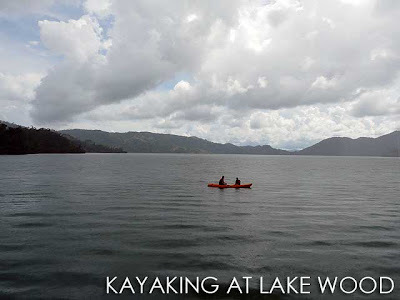 Or better yet, hire a private vehicle but note that after the resort, the road to Lakewood is not yet paved. You'll have to be patient with the vans though. As I arrived at the van terminal which is in downtown Pagadian, I was told the van was about to leave. Then they tell me a few minutes later that the vans have a scheduled time of departure which was still 45 minutes away. When the time of departure came, I was informed there would be a slight delay because someone had just consigned a delivery of construction materials including plywood and G.I. sheets which they had to load and secure on top of the van. Along the way, we stopped for gas, stopped at a store to load sacks of rice, and stopped for passengers to get on and off. The ride from Pagadian to Lakewood took about an hour and 30 minutes. Anyway, my plan was to get off at the town proper to find a habal-habal to bring me back to the junction so that I could stop along the way at scenic spots and the resort to take photos. The van passed by the Alindahaw Lakewood Resort on the way to the Lakewood town proper and I was able to glance at the view through the gates for a few seconds. It was truly stunning! After the resort, the road gets rough and I was about to regret not getting off at the resort instead since it looked like it was going the rain. And it did rain when I arrived at the town proper. But the sun came out again. Finding a habal-habal was a bit of a challenge and I had to walk around the town asking at the market, barangay hall and some sari-sari stores where I could find a habal-habal. I did find one after asking at a vulcanizing shop. Unfortunately the owner was busy at work so he called the guy at the barber shop if he was free. I had to wait for him to finish doing a haircut though before we went off. On the way to the resort, it was quite sunny and I was able to take nice photos of some terraced rice paddies and the lake. But as we neared the resort, it started to rain again. So I had to make do with rainy shots of scenic Lake Wood. 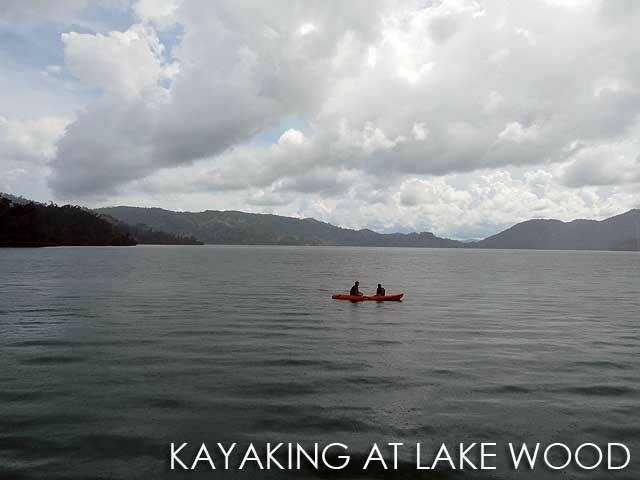 The resort has accommodation and kayaks for those who want to row around the lake. It's a great place for a day-trip or overnight stay with the picturesque view. But the videoke is as vulgar as in most provincial resorts in the country. They have function halls anyway so I hope they can keep the noise contained so that others can savor some peace and quiet which is perfect for this wonderful panorama. It didn't stop raining so we had no choice but to continue to the junction under the rain. By the time I reached the junction, I was soaking wet! But the trip to the lake was worth it! If only I could stay longer. From the bus stop near the junction, I boarded a bus to Ipil, Zamboanga Sibugay. 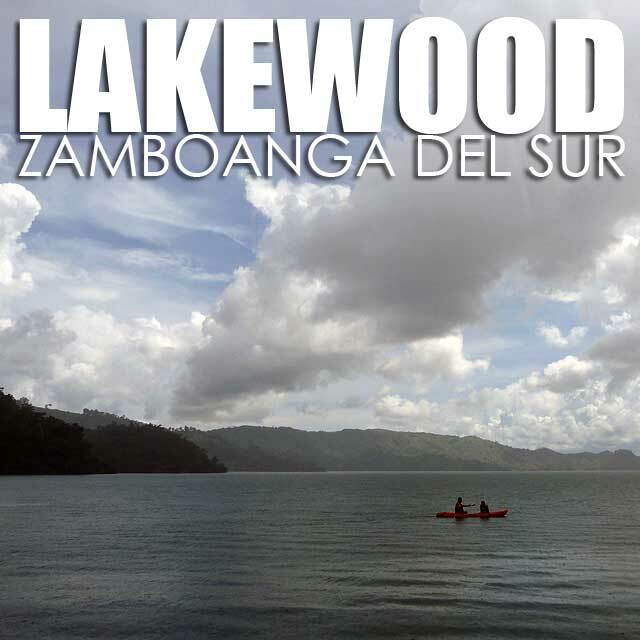 it's really like that here at lakewood, been here for more than 2 years, it's a slowly progressing community but .. there are lot of things / experiences you've missed.. eating porang (native fish of the lake) inun-unan style, steamed inside a bamboo or fried dried, to taste/eat lanzones and rambtan (it's one of the Philippines sweetest varieties), see the floating stone at one of the lakesides that you will see when the water is calm, sip "pangasi" / rice wine from the Subanen "banga" that you will as from the "timuays" / chieftains who always have stocks at their home, see a floating "lumbia" which according to Subanen belief would bring bad luck if and when it will be driven by the wind near to their homes.. but it was good to know that you've been here and had a good feeling about lakewood..
We are making plans the stay for awhile with family at Lakewood Resort when visiting the Philippines next time. Wonder how far is it from Napolan, Alta-Tiera (just outside west of Pagadian City past ZSMIT)? Does one travel through Balintawak as if going to Ipil? super talaga ang place napaka ganda. so relaxing...nature talaga.Balik kami uli't...mag overnight na para sulit.i love the place! super ganda nga place! so relaxing at nature talaga.balik kami ulit...mag overnight para sulit. i luv d place! the place is too nice. see you soon for my next adventure. actually we've just went there last week for our excursion related to our subject.The place was really looks like a ''PARADISE''. 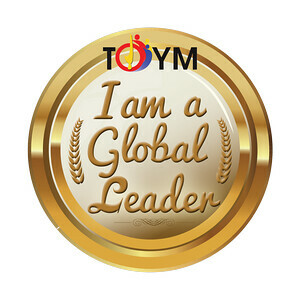 The experience was so momentous and adventurous ! !